If you’re prescribed to wear Air Optix Aqua you can also wear Air Optix Colors. 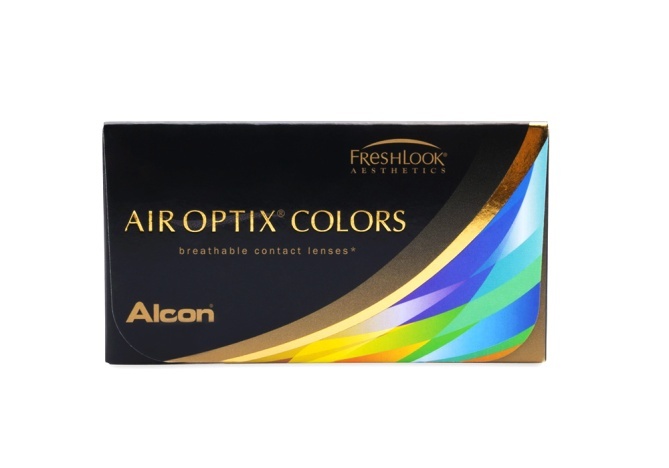 Air Optix Aqua contact lenses from Alcon offer a number of advantages over traditional contact lenses. First, they boast SmartShield™ Technology, a revolutionary new development in lens production that keeps a layer moisture on the surface of the lens to prevent the buildup of irritating deposits. They're also made from an advanced, proprietary hydrogel material that lets in 5 times more oxygen than that of conventional contact lenses. More breathability means more oxygen and more oxygen means healthy eyes and a more comfortable fit, especially when you wear them for long periods of time. These two technologies make Air Optix Aqua comfortable for up to 7 days straight at a time, plus it keeps them just as moist and comfortable on day 30 as on day 1. Each of our boxes of Air Optix Aqua contains 6 lenses designed to last for up to a month. To make managing your vision as easy as possible, we offer a generous return policy and we'll match any authorized price you find.